The world famous owl sweater! 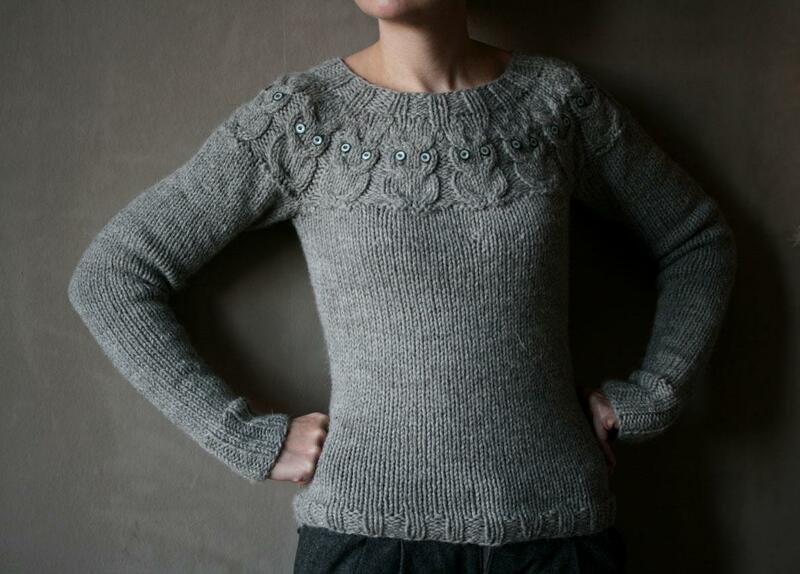 Designed by Kate a decade ago and still going strong! More than 10,000 owl sweaters have been knitted and worn worldwide! 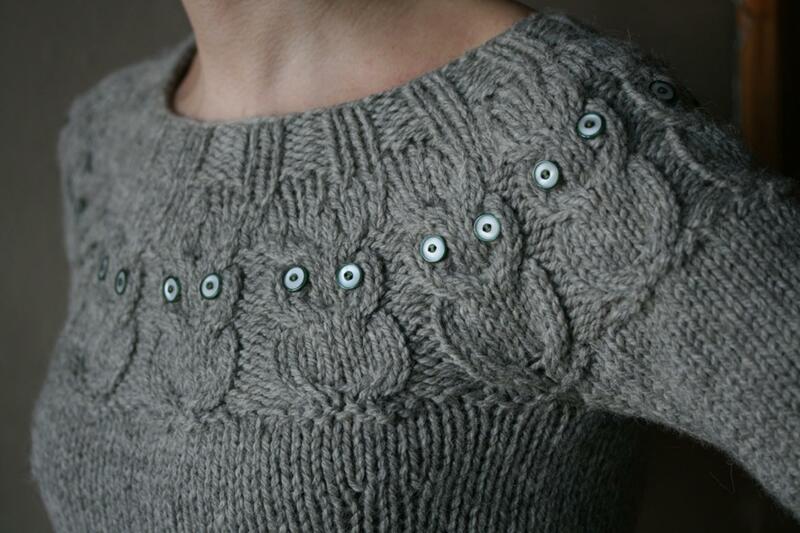 The owl sweater knits up quickly and provides a perfect introduction to seamless yoke construction and simple cable knitting. Wear with negative ease and waist shaping for a more fitted look, or knit the size above your bust measurement (omitting the shaping) for a comfortable winter sweater with room for layers underneath. Sizing: 32 (33.75, 3575, 38.75,40.5, 42.5, 45.5, 49.25)in 81.5 (86, 90.5, 98.5, 103, 108, 115.5, 125) cm. Grey (pebble) version worn in first size with slight negative ease and shaping, red (Roma) version worn in the third size without shaping and with 4 inches of positive ease. The kit contains New Lanark chunky yarn in your chosen size plus KDD project bag and PDF pattern download. The kit price represents a 15% discount on purchasing all these items separately.